Creative web & digital marketing strategy. 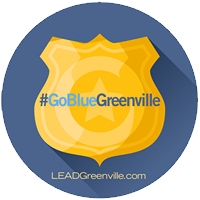 Carolina Creative is a Greenville, SC Website Design and Digital Marketing Company. We're a group of ridiculously talented custom website designers, graphic design artists, and digital marketing specialists working together to produce Simply Brilliant Custom Website Designs. As a division of Carolina Media Group and a Carolina Marketing Group strategic partner, our award winning creative team has virtually unlimited resources at their disposal. Combining these resources with a relentless pursuit of Client Success has made us one of the Southeast's leading Custom Website Design and Digital Marketing Companies. Every website we design and marketing campaign we conceptualize is custom tailored to each individual client providing a unique, creative, and effective outlet through which to grow your business. We invite you to find out more about our award winning website design and digital marketing services, or see what sets us apart from other website design and digital marketing companies. Our website design portfolio offers some samples of the many websites we have designed. If there is something you don't see, or you would like more information about our web & digital marketing services, don't hesitate to call or contact us here at our offices in Downtown Greenville. "Randy is a creative force and his team of professionals never cease to amaze me! Their quality and speed of implementing probably one of the most important campaigns for my brand of late blew me away. 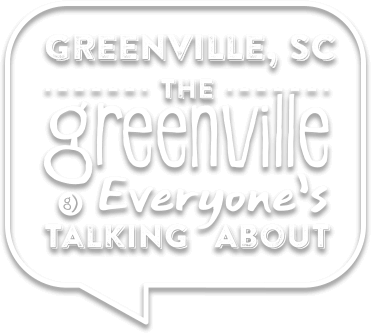 Being named Greenville's Number One REALTOR for 2016 is truly a milestone for my business and Randy and his team delivered a tasteful, elegant and highly impactful series of ads and social media campaigns that were genius! Here in his 17th year his approach is fresh and delivers proven results!!" "When our custom bridal business began to grow and it became obvious that we needed a new website, there was never a question who would do the job. Randy designed our original website and we continually get compliments from clients from the West Coast to New York. He takes an idea and runs with it and always comes up with a gorgeous site that encompasses who we are as a fashion design firm. The bridal site is a beautiful expression of what we offer the discerning bride looking for that perfect gown."  "Congratulations Randy and Carolina Creative on 17 years of masterminding the best websites and creative branding for your clients in the Upstate. When Brian and I decided to brand ourselves as a "family" real estate team we looked to the best. Thank you for creating our website, logo, and handling all of our print media. We are very pleased and the whole process went very smoothly." "After much research we selected Carolina Creative to design our website, logos, print material, and assist with our marketing strategy. When it comes to creating attractive, professional and effective websites, no company can match Carolina Creative. In a matter of a few short meetings we went from a few marketing ideas to a comprehensive and professional marketing strategy. Their portfolio of cost effective marketing tools is very impressive and they worked within our marketing budget and far exceeded our expectations. We could not be more pleased with Randy and his entire team." "From the first startup consultancy, strategic coaching, custom designing a custom logo that I have envisioned for 20 years; business cards, signs, my new website, targeted Facebook & LinkedIn business pages and ads, and a digital billboard--all from one source and all within weeks, not months. The Team at Carolina Creative more than live up to their extraordinary reputation, they have far exceeded and 'knocked it out of the park' for me and my start up business." "Randy Looper and Carolina Creative have been fabulous in helping us with our logo. marketing collateral, our website and many other areas! He is professional, knowledgeable, prompt and wonderful to work with. We are very excited about the success of our most recent development and feel that his work and creative vision has been very instrumental at Markley Place and two other developments. We highly recommend him and his Team. " "Entrusting Randy Looper and the team at Carolina Creative with the design of our marketing plan from website design to social media and beyond has allowed us to focus our time and energy on selling homes. They have created a client-friendly website to support all of our marketing strategies and have exceeded our expectations! Randy and his crew are awesome!!! " "Premier. Stellar. Simply brilliant. Randy Looper and the Carolina Creative team have the most innovative design services to make your digital success a reality. Randy is a joy to work with and has a keen talent for strategy, technology, and visual experience that puts Carolina Creative in the top tier of agencies. I can't recommend enough. Large scope? Absolutely. Small project? That, too. When you are ready for the best design and marketing, it's Carolina Creative. " "Truly collaborative while working with clients, Carolina Creative delivers amazing results. We get so many compliments on our new website - thank you! I waited way too long to partner with Randy Looper and his team. Will definitely recommend Carolina Creative in the future. " Laury Gardner, Principal & Founder. Living Down South. "Randy Looper/Carolina Creative has been our website designer for 13+ years and continues to be at the forefront of what makes great websites. We are in the process of refreshing ours now and are very pleased with the new ideas he has brought to us as we are changing our family team to a larger team. His innovative ideas help us to add value for our team members to help grown their individual businesses under our brand. All this plus Randy is a wonderful man and a great friend. I think most of his hundreds of clients would definitely say the same. " "Carolina Creative did a fabulous job creating my new website I am very pleased . Randy Looper was awesome to work with and catered to my suggestions . I would highly recommend them to anyone wanting a great new look. Thanks Randy for all your help and creativity. " " Our team has been working with Randy for over 10 years. He just updated our website and we could not be happier! Randy is the best at what he does - not only is he professional but he has a big heart and loves serving others. He's our guy! " "Randy Looper with Carolina Creative is truly a class act! We recently had our website revamped @ The Cliffs at Glassy POA and it is everything we hoped for and then some. We simply explained our vision and Randy ran with it--I would highly recommend he and his TEAM. " "I would never be able to portray the level of professionalism I do without Randy at Carolina Creative. His hands-on approach has continually provided me the leverage of professional social media platform that promotes my ability to market myself, my products, services, and ideas. Carolina Creative has not only offered social media and viral marketing, but presence, visibility, and compelling communication that has allowed me to create relationships within the community. They provide exceptional content and a strategic approach that is tailored to my audience. Carolina Creative delivers such an exceptional customer experience that I can honestly tell you that the greatest advantage you can offer your business is to contact Carolina Creative – I trust them with my present and my future. I wouldn’t be where I am and who I am today without Randy’s strategic marketing, knowledge, and dedication." "Thank you so much for our awesome website update! This is the second update Carolina Creative has done for our company along with custom designing our new Marketing Line Cards that are cohesive and current to our brand and we have been extremely satisfied. Randy is so easy to work with and very prompt to answer any questions and concerns we may have. Normally in the past we dreaded anything to do with website updates but he makes it so easy and he is a pleasure to work with. Looking forward to working with Carolina Creative in the future. " Stephanie Hovanec, Handling Services, Inc.
"“In 2018 I had been working with Randy’s team to analyze the traffic on my site, how to optimize the key words and we made a plan to restructure the site to improve bounce rates and ease of navigation. With our boat show coming up on January 24th I asked Randy and his team if they could implement all the changes in a couple weeks and the delivered flawlessly. The new site is mobile responsive easy to navigate and optimized to reap the benefits of our SEO keywords. Carolina Creative and Corner Marketing worked together really well and I would recommend them to any business owner who wants to improve their web presence."" David van den Bosch, Master Docks, Inc.
"In 2019, I decided I wanted to upgrade my old website for a new look. With the release of a new book, I decided that it may be time. Having worked with Randy and his staff at Carolina Creative in the past, I knew where I needed to go for help. Within only a few days, they transformed my old site into exactly what I wanted. If you are starting a business from scratch and need help with branding, or if you just need to transform an old website into something fantastic, then, in my opinion, Carolina Creative is the only choice." "At Good To Go we support your path to natural health by crafting raw juices, smoothies, acai bowls and healthy fare you will feel good about. Find unique and hard to find CBD products in the CBD boutique. We are ever learning and sharing with the community different options that may promote health through the method of actively selecting what foods we choose to put in our bodies. Randy and the crew at Carolina Creative are truly wonderful to work with. Randy is a master at bringing an online presence to life. You’re literally having a conversation one day and are looking at your live changes the next. They are amazing." "Wow! Everything we asked for and more. Our interactive site is now cleaner and more user friendly. Customers and Vendors can find their links and use the seamless order setup and delivery sites. Their knowledge and customer service is incomparable. The team worked with our ISP vendor directly and resolved email and web hosting complications better than the service providers were able to. I recommend the Carolina Creative for all of your Web Service needs." ""Randy is awesome. He designed and maintains our website responding to our needs in a timely manner. We have been highly pleased with Carolina Creative Group and their services provided to Kathy and Company. We have enjoyed their support/service for at least a decade! Your company will reap great benefits by having a relationship with Carolina Creative Group."" ""Carolina Creative brings a wealth of knowledge to every project and every project is a priority. Always timely and always supportive. Thank you Carolina Creative."" No longer just a simple calling card, your website must be a powerful and creative marketing tool that connects with your customers, provides information, and tells your story. Your website is the front door to your organization. It's where you greet visitors, have friendly conversations, and build relationships. Our number one priority is helping your business grow and thrive. Each day we are creating inspired ideas that connect our extraordinary client brands and people. Creative web & digital marketing that matters--we're here to start a Fire. Today's digital marketing needs to lead - not follow - your overall marketing strategy and efforts. Whether we're creating digital experiences, social media campaigns, advertising, collateral pieces or outdoor digital buys, a creative collective strategy is at the heart of every idea. We are a boutique agency built on creativity, innovation and measurement--so we are 'All In' about generating positive business results for your business. We have a relentless curiosity and commitment to our client relationships that fuels our culture of collaboration and drives our passion for our creative mindset. Our number one priority is helping your business grow and thrive. Sure, you want a website or digital campaign that looks awesome and utilizes the most cutting-edge technology, but if your marketing plan isn’t helping you engage, inspire and acquire new leads, you’re missing the most important part. That’s why we’re not just another web design company, we’re much more than that as a true extension of your business. As a creative consultant, a strategic marketing planner, and, yes, an award winning creative web and digital marketing expert, we’re dedicated to your overall business goals and the success of your business. Whether it’s a custom website, a brand/logo or ad design or an integrated campaign that spans multiple media, our exceptionally creative team collaborates to deliver RESULTS. Each day we are creating inspired ideas that connect our extraordinary client brands and people. We encourage you to take some time to learn about us, what we can offer as your strategic web and digital marketing partner and check out some of our recent designs -- then turn the mirror on your marketing and take its pulse. Let’s make our mark together. We’re All In. We’re here to Start a Fire.